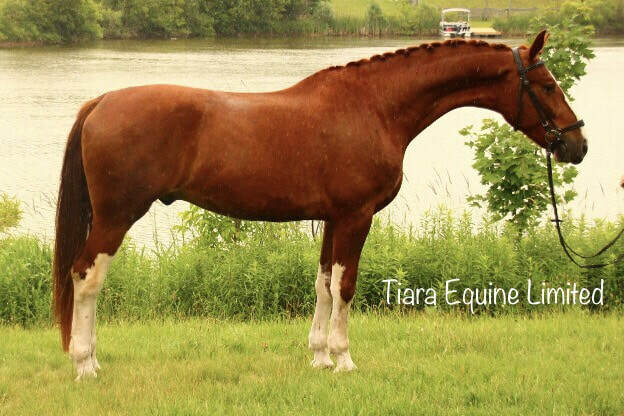 As an experienced agent for both buying and selling, if you are shopping, Tiara Equine can help you find the perfect horse! 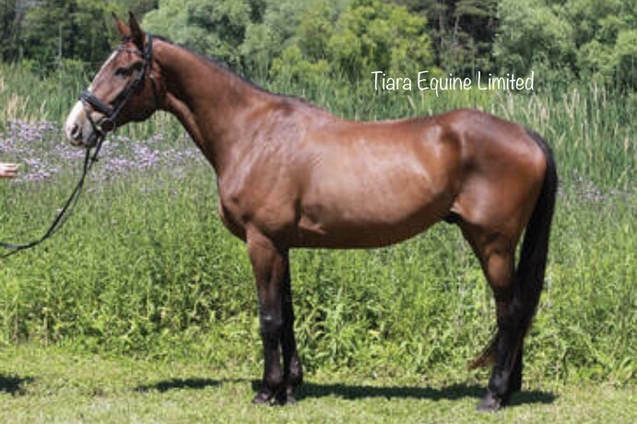 Located near Toronto and an easy drive from Pearson Airport, Tiara offers competitively priced horses and has experience exporting. As a sales agent, Tiara offers a wide range of services for any budget. The following services range from the most basic to the most comprehensive. 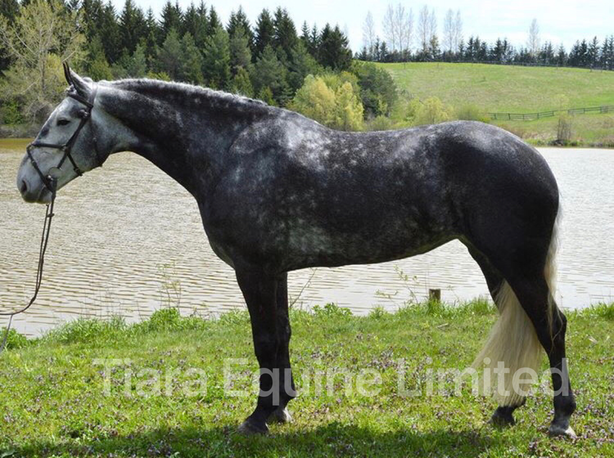 Please note; any horse with the TE tag in their name, was developed from scratch for ridden sports, by Tiara Equine. We breed, train and produce well tempered amateur horses, and those that have been trained exclusively at our farm, earn the TE name. We can offer full case history on any of these horses, and know their entire background. 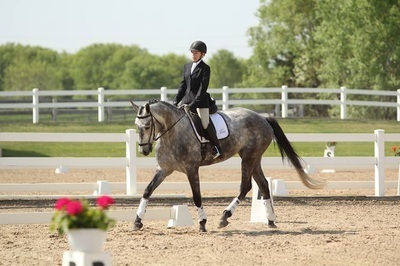 Brooklyn is a striking and rare grey Friesian sport horse. She is 3/4 Friesian by Rogue di Boscodonne (Nanning) and out of a friesian/percheron mare. This big girl is light on her feet and is not excessively wide. She has done it all from driving, to dressage, to jumpers, to eventing. 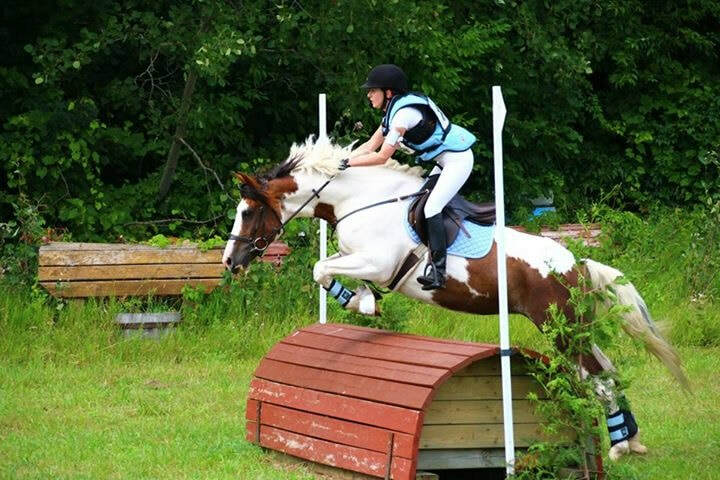 This mare is absolutely amateur friendly, and is the first horse to her Young Rider owner. She was broke and trained in our program at 3 years old, so we know her entire history. She has required no maintenance and has been easy to manage and keep. 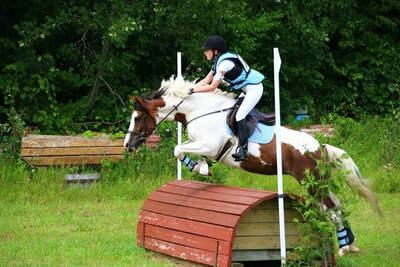 She has a spotless record at Pre-Training level eventing, and is honest and straightforward to a jump, with good form. 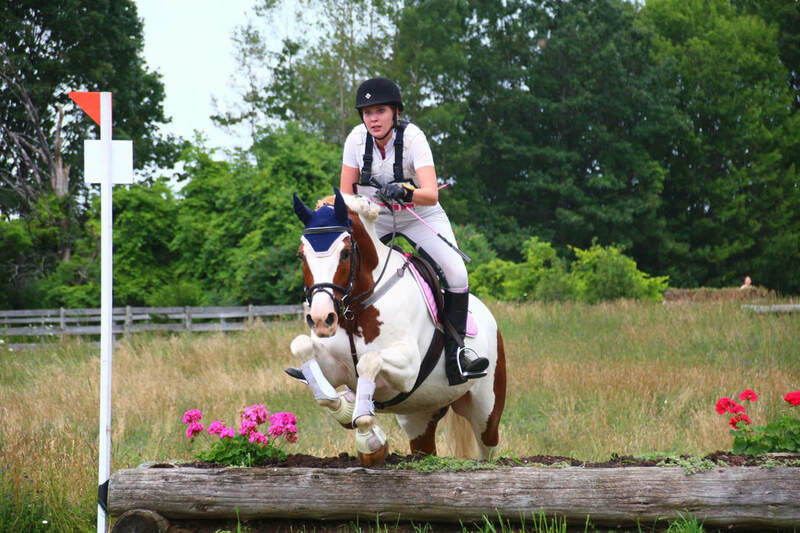 She has the jump and agility to move up to training or show jump. An elastic and elegant mover with super aptitude for collection and a natural piaffe, she will absolutely excel as a dressage horse. She acquired wins and scores in the 70's at Gold Shows in 2017. She is now in full training to pursue dressage and is working nicely in both a snaffle and a double, and schooling third level with a green change. She is currently based in Wellington Florida. Asking $45k negotiable. Photos and videos available shortly. High Roller TE or Venlo, as we call him in the barn is a big, talented prospect, suitable for any ring. He stands 17.2 with more filling out to do. He has a huge amount of presence. This big gelding is a ham in the barn, with a fun, goofy personality. He is not spooky, and is quiet, sensible, and fun to ride. 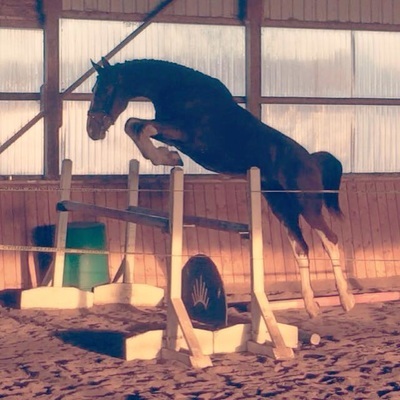 While he is a level headed guy, his is a big mover with an even bigger jump and would best suit an athletic amateur rider. This horse will be an excellent eventer, dressage horse or jumper. Venlo has a lot of hacking and off property experience, and started his show career in the fall of 2015. 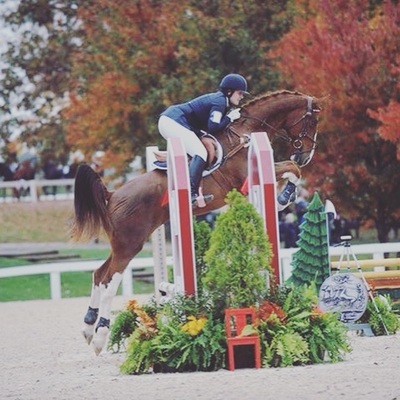 After attending one schooling event and many small outings, he travelled to Kentucky and competed in the team challenge, where he finished 4th. The video pictures him at his very first show. 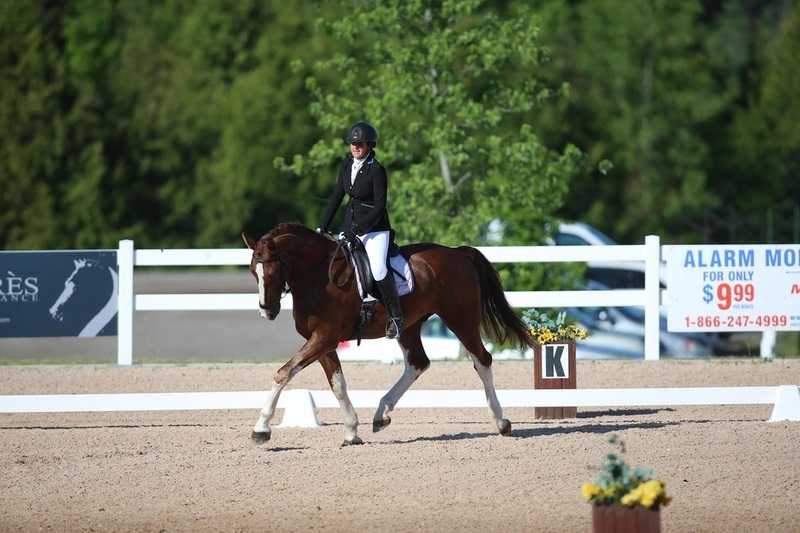 In 2016 he evented and did dressage with a young rider, and received scores into the 70's at his first dressage show. He is priced competitively at 20k. Recent footage will be available shortly. Tucker is a project for an experienced rider to bring along on a budget. All the basics are thoroughly established. He works in a great connection in all 3 gaits with laterals well established. He jumps a 2'9 course comfortably and has schooled up to 3'3. He's gone xc schooling and enjoyed it thoroughly, and scored well at his first dressage show. Tucker has a half sibling who ran Rolex a few years back (My Imperial Melody) and is sporty enough to be successul at the low levels of any discipline. He has worked in a school with amateur riders for several years, but would be better suited as a one person horse. 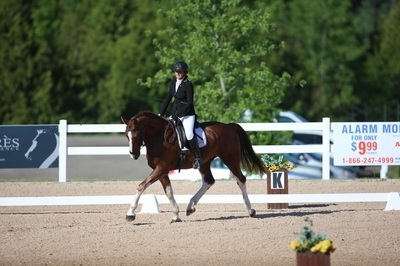 This horse is very competitively priced to the right rider and is ready to go out and show in experienced hands. He has minimal off property miles, but once finished by a capable, experienced rider, he will be an excellent, fun ride for someone. Dream and Fantasy both worked in the Tiara Equine program, and were purchased by clients, before ever making it to the market. Contact us for more of these types. We excel in producing safe, sane and amateur friendly all arounders. 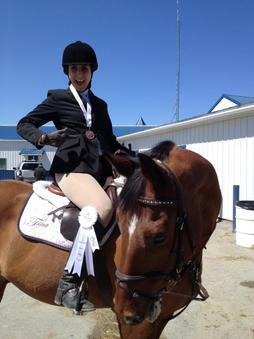 We sell our lesson horses out of our program after they've been trained by professionals, but campaigned by amateurs.